If there is one thing I love shopping for everyday all day that would be shoes. I do come by my love for shoes honestly, my mom and my grandma both love shoes too. My problem stems from buying shoes for special occasions and not being able to wear them to work or out and about. 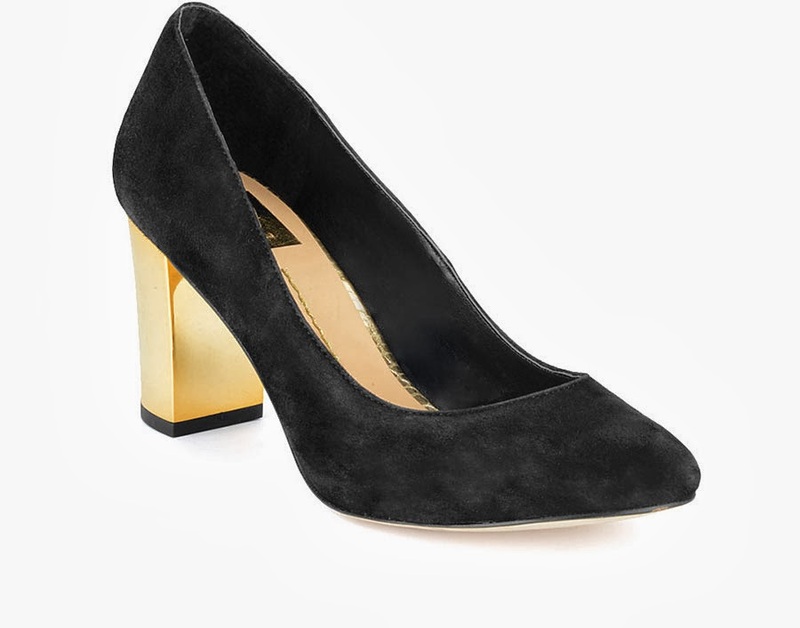 Well I finally purchased two pairs of shoes this past weekend that work for both special occasions but I can also wear to work. 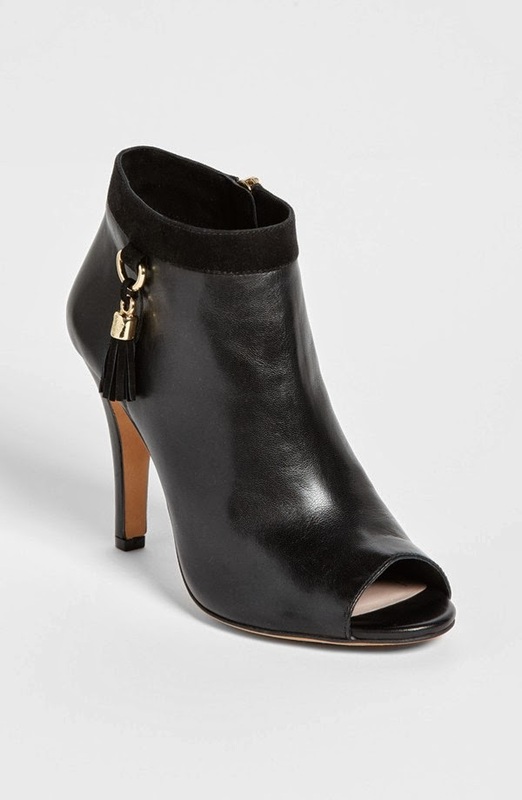 I am finally jumping on the heeled ankle bootie bandwagon. I know, I am REALLY late on this but I always thought my legs just weren’t constructed for these. Well then I had a lightbulb moment and thought who cares if my legs were constructed for ankle booties I love these and I am wearing them. I ended up in these loves to add a little toughness to my all lace black dress. 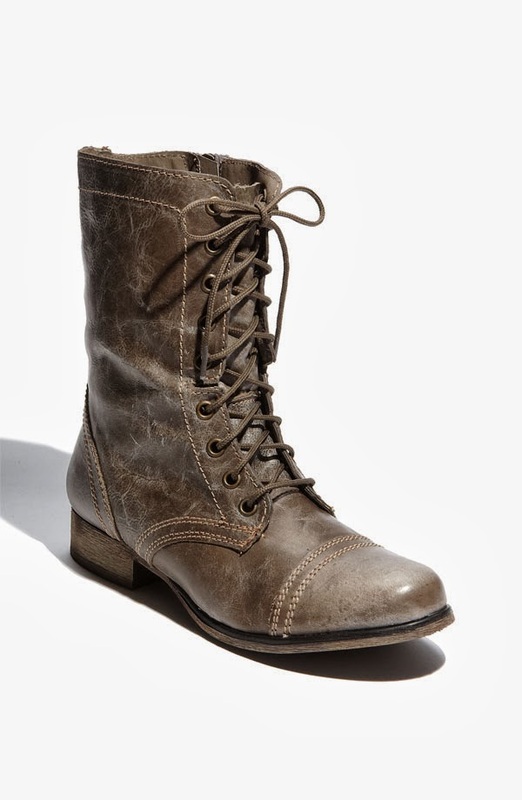 Below are a few more ankle booties I would like to add to my collection of shoes. 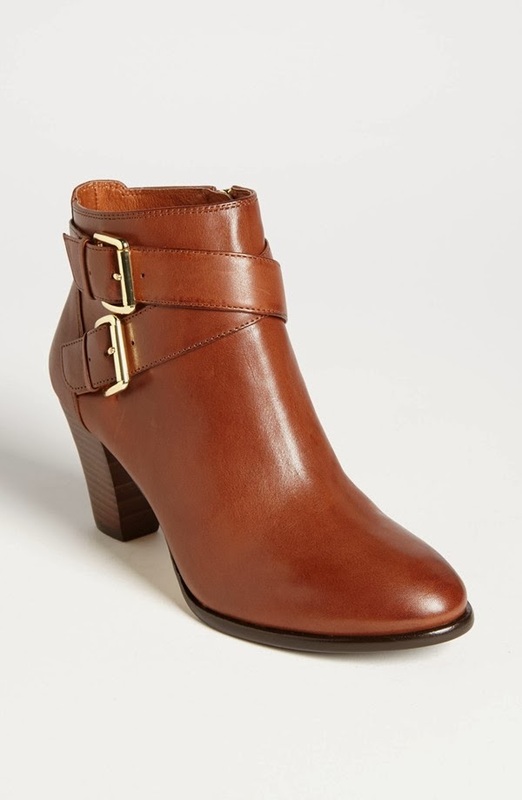 Perfect classic brown leather bootie with a small heel. 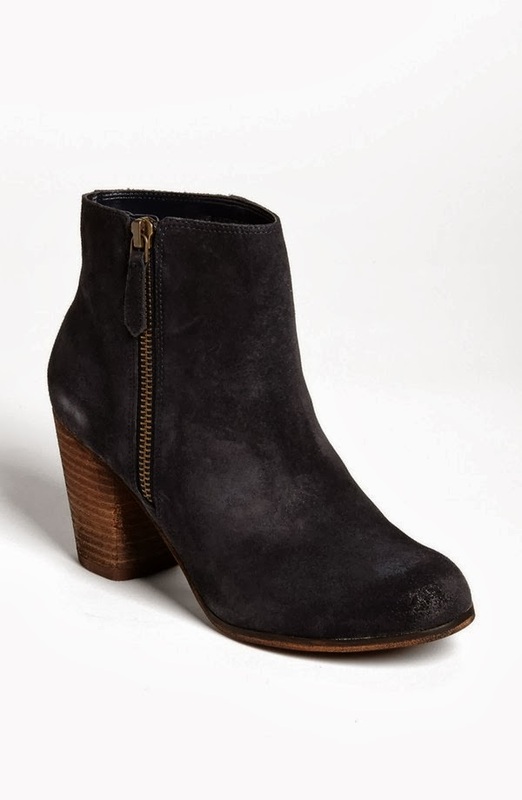 This bootie couldn’t get any better if it tried. 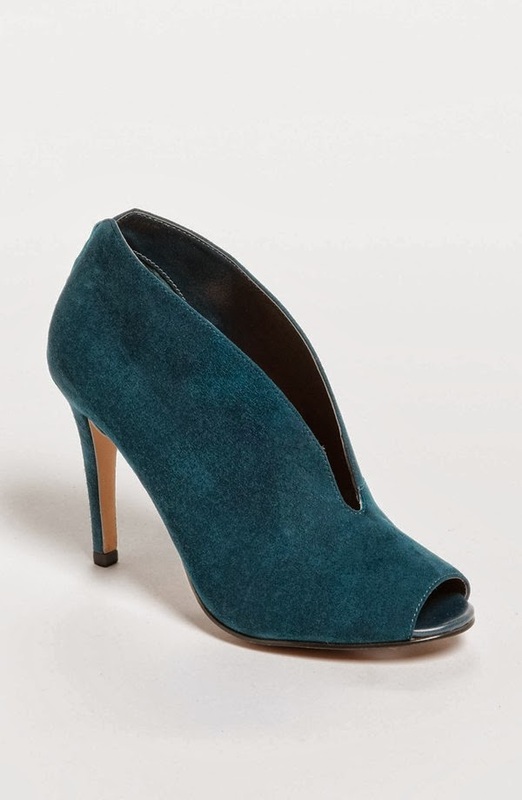 You can never go wrong with suede and when you add this gorgeous teal color it just becomes the best night out bootie. The slit down the front can help with not making your legs look cut off when you wear these with skinny jeans. Last year was the year of the brown ankle bootie, mark my words, this year it will be about the black ankle bootie. If it isn’t, this girl still will be, I love this boot and I love BP. shoes. My recommendation would be to size up at least 1/2 a size and these tend to run a wee bit small. This is the boot I look at and think I could never wear them, but somewhere inside a little part of me screams, DO IT ANYWAYS. Definitely a boot I want to give a go with, but I want to pair with a very classic/prep look to add some badassness (its a word to me) to the outfit. This entry was posted in Booties, BP., Dolce Vita, Halogen, Shoes, Steve Madden, Vince Camuto on October 8, 2013 by SimpleeSampson.